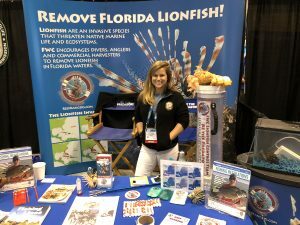 The 2017 DEMA Show (Dive Equipment & Marketing Association) was as interesting and informative as ever with plenty of new equipment for the avid lionfish hunter to be excited about. Among the exhibitors at DEMA were several lionfish awareness groups working to inform the professional dive community of current lionfish issues, such as the FWC Lionfish outreach program, Ennds.org, and the good people of the non-profit Coast Watch Alliance partnered in a booth with Lionfish University. Because the crowd at DEMA is very international many of the attendees are unfamiliar with the lionfish invasion in the Atlantic and the outreach efforts are very helpful at educating the community. 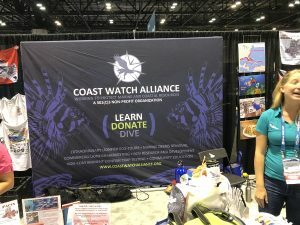 Coast Watch Alliance was handing out free samples of lionfish ceviche for attendees to sample and there was always a bit of buzz around the booth. 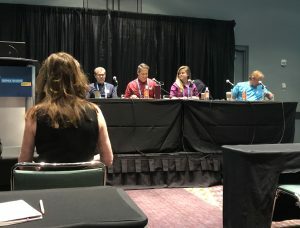 On Saturday morning a lionfish panel was hosted by Lad Akins of REEF with panelists Peter Hughes, a DEMA representative, Kali Spurgin from the FWC, Steve Gittings of NOAA, and the Florida seafood buyer from Whole Foods. Among the topics discussed were the importance of not feeding speared lionfish to predators, the puzzling change that we are observing of some areas seeing less lionfish than before while other areas are maintaining large populations, current Florida efforts to combat the lionfish invasion, and the progress that is being made (and legislative obstacles in place) to the future of deep water traps and ROV’s for lionfish. 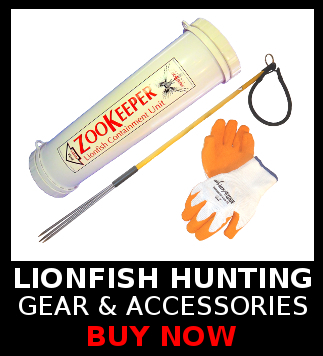 We didn’t see much in the way of new hunting equipment specifically for lionfish at the show, but we saw a lot of very cool new technology for the broader dive industry that looks like it could be adapted to the lionfish hunter and to more effective deep water hunting of lionfish. Interesting to see was the advent of new relatively affordable ROV’s for the public. 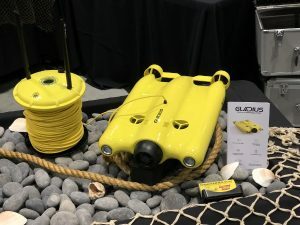 We watched demos of the Gladius underwater drone (don’t be fooled by the price on that link, it’s about $1700 for the full package) which can be controlled with your iphone or ipad, has a 100 meter range, and includes a light and 4k camera that streams a live feed back to your controller. OpenRov had a similar drone available at the show as well. Now that consumer level ROV’s are becoming readily available it opens the door to a plethora of lionfish hunting possibilities. There are several groups already working on using ROV’s to hunt by spearing or electrocuting then vacuuming up the lionfish, and perhaps someone will come up with a way to modify one of the consumer ROV’s to enable deep water lionfish hunting from the deck of a boat. 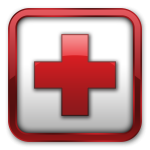 The other possibility that occurred to me was the use of an ROV for scouting. Before making another deep drop on to a site the commercial lionfish hunter can send the drone down to determine if there are enough lionfish on the spot to make the dive worthwhile. This would greatly aid the commercial hunter by reducing the number of deep drops into barren sites. 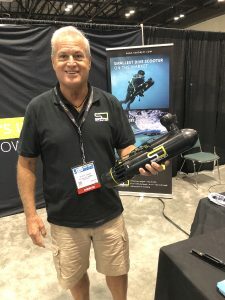 Another part of the changing landscape of dive equipment that is exciting and new for the lionfish hunter was the increase in number of DPV (Diver propulsion vehicles) that we saw at the show. Commercial lionfish hunters have already figured out that using a scooter gives a huge advantage in the ability to cover more terrain to access the lionfish. Using a scooter can be a struggle when one is also carrying a spear and a Zookeeper, but some of these new DPV’s have gotten much smaller. I watched a pool demo of the Shark MIX which is much smaller than the traditional scooter and surprisingly strong. Even more impressive to me though was the surprisingly small jet propulsion Scubajet. This miniature yet powerful device was originally designed to attach to the underside of a stand-up paddleboard and provide emergency propulsion. On the slow speed setting it makes for an easy to use one-handed diver propulsion vehicle that could comfortably be used while carrying a Zookeeper as well. Simply drop the small cylinder when you arrive at the next lionfish and it falls to your side where it is clipped on to your BCD. I see great possibilities for the commercial lionfish hunter, and recreational divers in general, with these new small propulsion devices. As always, the dive travel industry has an extensive presence at DEMA and it was encouraging as we walked the show floor and talked to many of the Caribbean destinations about lionfish hunting. It seems that many more places have come around to seeing the potential benefits of lionfish hunting tourism and are looking to take advantage of it. We will soon be adding a few more shops to our extensive list of dive destinations that allow tourists to hunt lionfish. People are catching on to how great lionfish tastes and in conversations with operators at many of the Caribbean destinations we are seeing that most of them have made great strides in creating commercial lionfish opportunities in their area. In conclusion, it was another great DEMA show and as always the future is exciting!